The book, available on Pugh’s website VeryDynamite.Com, at the Kings English Bookstore, local Barnes and Nobles and on Amazon.com, is a rundown of food and nightlife, culture and history, outdoors and sports and even the best fashion and shopping in and around Utah’s capital city. Pugh is a veteran of the media and the cultural landscape of Utah and the Intermountain West. A freelancer for various publications is a contributor to Salt Lake, Utah Style & Design, SKI and Sunset magazines. Previously the editor of Salt Lake magazine, Pugh came up through local newspapers around Utah covering everything from higher education to cockfighting (true story) and, in one way or another, has been writing about culture, history and the outdoors in Salt Lake City and Utah for more than a two decades. His insider opinion on all things Salt Lake were one of the reasons he decided to write the book. And although he says he’s sure you’ll find lots of unknown and hidden gems in his book, he is by no means the final word on everything fantastic to do in Salt Lake City. Oh and one more thing about the title. 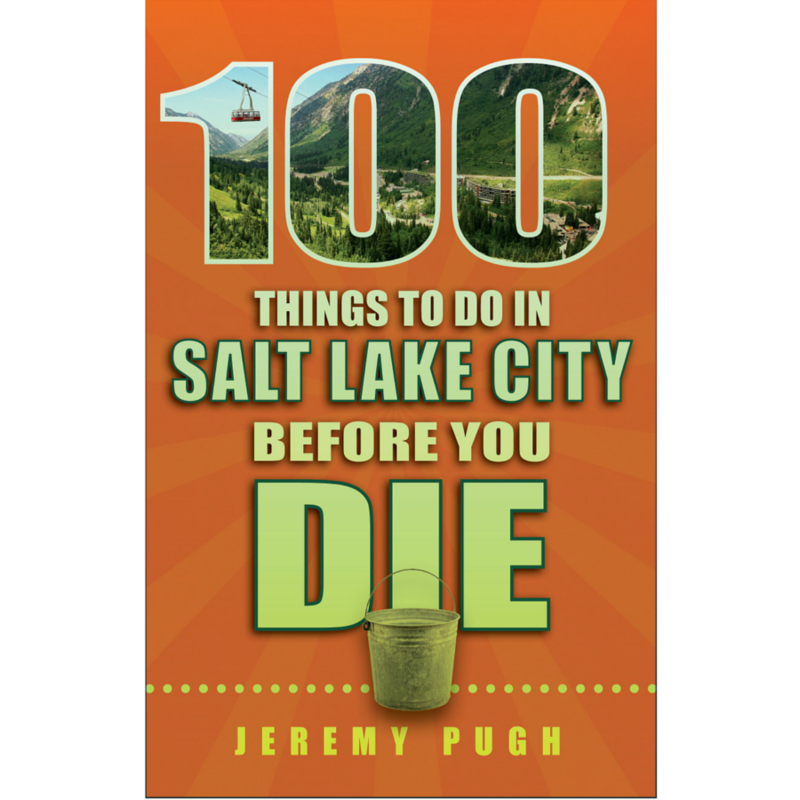 Jeremy Pugh’s 100 Things to do in Salt Lake City Before you Die is an insider’s guide to great ideas for: date nights, foodie forays, weird Utah adventures, quirky event and kid-friendly stuff. Jeremy Pugh’s 100 Things to do in Salt Lake City Before you Die says it&apos;s OK to float out in the Great Salt Lake (just do it on a Hawaiian outrigger canoe). It’s OK to Visit Temple Square (just make sure you don’t miss the secret rooftop garden). And we haven’t even told you where you can go to try SCUBA diving in the desert. 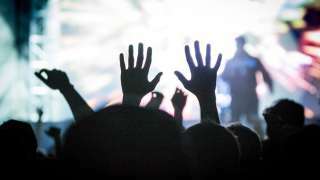 And if none of the above sounds like your kind of thing, you&apos;ve got another 99 suggestions to consider (from around the state). How to Buy: Available directly from the author at VeryDynamite.com or locally at The Kings English Bookstore, Barnes and Noble locations and on Amazon.com. 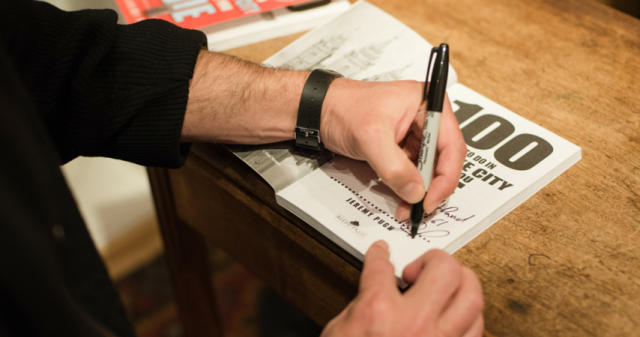 Follow @100ThingsSLC on Twitter and Instagram and find out about events and author appearances on Facebook .